I'm pleased to see you are checking into our various Front Sight Memberships at Front Sight. A Legacy Membership is the next step up from a Challenge Membership and is a great choice for the student who wants an emphasis on our most popular handgun courses plus our flagship tactical shotgun and practical rifle courses. Over time, our goal is to positively change the image of gun ownership by training every law-abiding gun owner to levels that far exceed law enforcement and military standards. Two Day Empty Hand Defense; Two Day Edged Weapons; Two Day Defensive Handgun; Two Day Tactical Shotgun; Two Day Practical Rifle; Four Day Defensive Handgun; Four Day Tactical Shotgun; Four Day Practical Rifle; Two Day Handgun Skill Builder; Two Day Advanced Tactical Handgun; Four Day Handgun Combat Master Prep. With a Front Sight Legacy Membership you have the opportunity to achieve a level of self defense comfort of skill at arms that most people could spend an entire career in the military or law enforcement and still not receive. This is not marketing hype. There is a good reason why Marine Corps officers, and law enforcement firearms instructors become members at Front Sight... It's because we can provide them with more consistent and expert firearms training than they get from their own agencies. 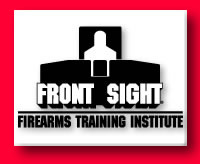 And when you become a Front Sight Legacy Member you will get to train right alongside our nation's finest peacekeepers and warriors helping build a lifelong bond between the law-abiding armed citizens who are the backbone of our country's defense and the brave men and women who place themselves in harm's way on a daily basis to protect and serve our nation. Guaranteed placement in your courses with two weeks' advance enrollment... No worries about whether your can "get into a course." As a member your spot is guaranteed. Just complete your online Application for Training prior to two weeks of the course date and you are in! Like everything else we offer, no other school can offer you such flexibility with your scheduling! Invitation to the Annual July 4th Front Sight Members’ Reunion Celebration... So you and your family can celebrate July 4th each year in a manner that would make our Founding Fathers proud! Enroll online today with our Secure Enrollment Form below or simply call my office between the hours of 8am and 6pm PST at 1.800.987.7719 to enroll over the phone. As you know, the cost of a four day course alone at Front Sight is $2,000 and a Two Day Course is $1,000. If you were to simply attend each course in your Legacy Membership just ONCE, the value is $15,000! So if you attend each course JUST ONCE (which we know you won't) you get $15,000 in value... If you attend each course multiple times with different weapons (which we know you will do as much as possible) the value of your Legacy Memberships exceeds $50,000! Why does this work for us? Because each time you return home you will tell everyone you know about what a great time you had at Front Sight and each time you return to Front Sight you will bring another family member or friend with you and help us grow our organization with great word of mouth referrals! So you are going to get anywhere from $15,000 to over $50,000 of value out of your Front Sight Legacy Membership and we are going to get a lifetime of your good will, good words and great referrals! Everyone wins! ___ 90 monthly credit card payments of $199 for a total cost of $17,910. So choose which payment plan you want and call my Office RIGHT NOW at 1.800.987.7719 to enroll over the phone or use the Secure On-Line Enrollment Form. I look forward to seeing you at Front Sight as a Legacy Member and look forward to seeing your friends and family attending with you as well. PPS: To see video testimonials of your fellow students sharing why a Front Sight Membership has made such a positive impact on their lives, click on testimonials.